If you ask any successful person about their secret, they will almost always tell you that the key to success is to constantly have a vision. Having a clear understanding of your goals will allow you to efficiently achieve them. It is a well-known fact that what you think you become, which is why you should always maintain a positive mindset that will help motivate you to achieve your dreams. Today, we will be discussing the importance of positive thinking in helping you achieve your dreams since the mind is everything when it comes to turning dreams into reality. There are many pessimists that believe that a person can only achieve so much in their life. They choose to believe that your brain has limited resources and that it is simply impossible to achieve everything they desire. Thankfully, that is not the case as was proven several times by many successful individuals. Positive thinking is simply an attitude in which you expect happy endings and the best to occur. It is creating thoughts in your mind that are capable of transforming dreams into reality. The more you adapt your lifestyle towards positive thinking, goal setting, and mapping out your vision, the more likely you are to become a successful person both personally and professionally. Provides you not only with absolute self-confidence but also deliverance from suffering which allows you to focus on becoming successful. Allows you to live a longer and happier life with more friends. Reduced daily stresses, therefore improving your health. Increased ability to manage problems and important decisions providing you with a better quality of life. It is extremely important to apply positive thinking when trying to “become what you think about” However, there are certain steps that need to be taken.First of all, you have to let go of your negative thoughts and the negative thinking patterns that you have been using throughout your life. You should utilize the power of your mind (as the mind is everything) in order to help you achieve your dreams.It is a common belief that thinking positively will attract positive things leading to exponential positivity in your life. Use positive words in your vocabulary to persuade yourself (and others) that everything is possible and that you can achieve anything you set your mind to. Use words that encourage yourself rather than negative words that imply incompetence or failure. Have a clear vision of the person you want to become or your future achievements which acts as a great motivor for you to think and remain positive. Do not let negative thoughts control your mind when you are in a bad mood. Positive affirmation where you repeat to yourself positive sentences. For example, “you deserve to be successful” or “you deserve the best”. Redirect your thoughts when you have negative emotions like depression or anxiety by holding on to a positive image in your mind which makes you feel better and helps you control those negative feelings. Never deny failure, instead analyze your situation, and forgive yourself for your faults to be able to improve upon yourself for the future. Understand that failure is a minor setback that gives you the unique opportunity to improve yourself. Meditating to clear the negative thoughts helps you to get rid of the stress and anxiety. Take time to focus on your passion and take care of yourself. Feel grateful for everyone and everything, this will attract better things to be grateful for as like attracts like. Never give up on yourself and be your biggest fan. Tell yourself daily how awesome you are. Keep inspiring and motivating yourself. Now, that you have chosen to adopt the positive mindset, it is important that you also alter the content your consume to reinforce that idea. This means that you should be watching and reading content that promotes positive thinking. We’ll get you started with some popular content that discusses ideas like ” You are what you think”. These books will not only provide you with a positive perspective of the world, but they will also introduce new ideas that will help you achieve your dreams while also becoming a much better person. This extremely popular self-help book was written by television writer Rhonda Byrne and was later adapted into a movie by the same name. This book discusses the importance of positive thinking and the fact that “you are what you think about”. The secret encourages readers to always hold onto positivity which will allow them to achieve anything through the sheer strength of their will. The book has many great ideas for maintaining positivity while also providing you with several examples to help you hold onto hope in those tough times of doubt. 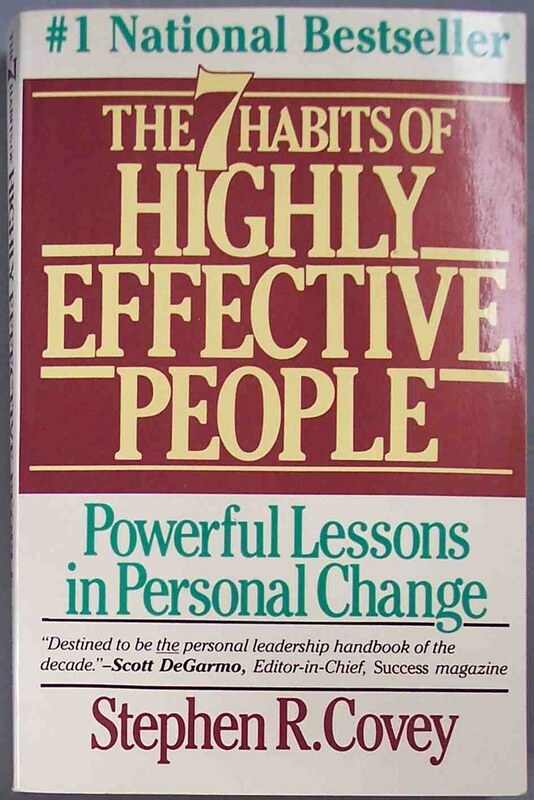 Another great self-help book that will help you achieve your full potential. This book aims to convince you of a few basic principles that the author considers to be “timeless”. These traits include Independence, continual improvement, and adaptation. More importantly, the book reinforces the idea of mental abundance which implies that there is enough success in the world to share with others. This essentially means that you should be focusing on yourself, trying to be the optimum person you’d like to be instead of looking at others and trying to be better than them. This form of inner peace is extremely important in reaching your fullest potential as it allows you to focus your mental prowess on improving. This is the ultimate supporter of positive thinking. This book aims to change the way the reader thinks in order to become more constructive and optimistic. The author believes that by consciously being positive, you will achieve higher levels of satisfaction in life. Unlike other books that preach about the power of positive thinking, this book provided the reader with more practical advice that you can use in your everyday life in order to achieve happiness. Positive thinking is the secret to living a satisfying, relaxing life. Through the power of positive thinking, you can eliminate stress which not only helps you remain healthy but also allows you to take better decisions by having a clearer mind. Many Life coaches will tell you that “what you think you become” which is quite accurate since you’ll only be able to achieve what seems possible in your head. That is why it is important to work on your mental state because the mind is everything and it will pave the path to your success and satisfaction. We hope that this article has provided you with some insights regarding the power of thinking positively and if you’d like to further improve yourself, check out our article about the art of communication.